I have only managed one trip out on a boat this year, so I was pretty excited at the prospect of getting to a couple of my favourite marks, on good sized tides. 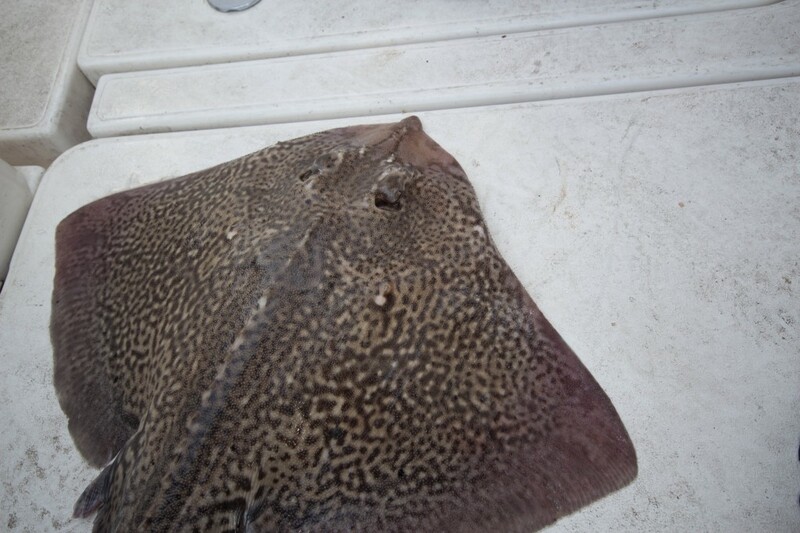 My target was Tope and large Rays, with maybe a bonus Plaice or Black Bream. We headed out to the harbour entrance to try and feather up some Mackerel, but they were a bit thin on the ground. I wasn’t too worried as I knew we would be able to get some Mackerel out on the Shambles. I knew that the main mark I wanted to fish would not fish until the tide eased of a bit, so we decided to join the charter fleet out on the Mussel beds near the Shambles. Andy was a bit nervous about being amongst the charter boats, but I assured him that if we kept a respectable distance from these guys that earn their living from fishing, we would be OK.
We all set up to drift for Plaice and Bream, and it wasn’t too long before Andy got us off to a good start with a nice sized Plaice. The initial drift was quite slow, as the tide was just about to turn. It went quite for us and most of the charter fleet. There was one exception! Lyle Stantiford on Supanova managed to bring on board an almost continual stream of Plaice. I would love to know his secret. 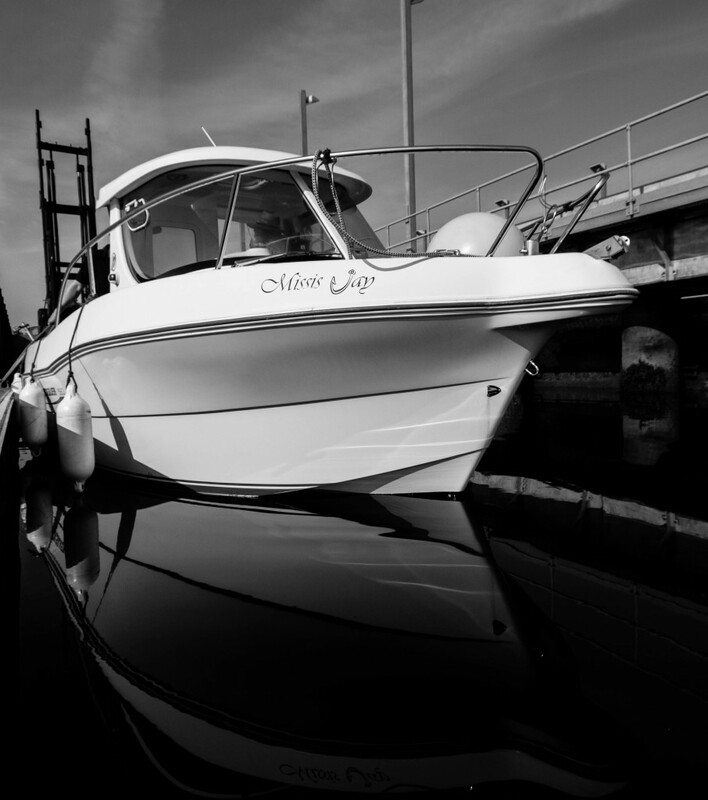 It is certainly one of the charter boats that I want to try and get out on this year. After a couple of more drifts I noticed some baitfish activity on the surface, so we dropped the feathers down to get some Mackerel. 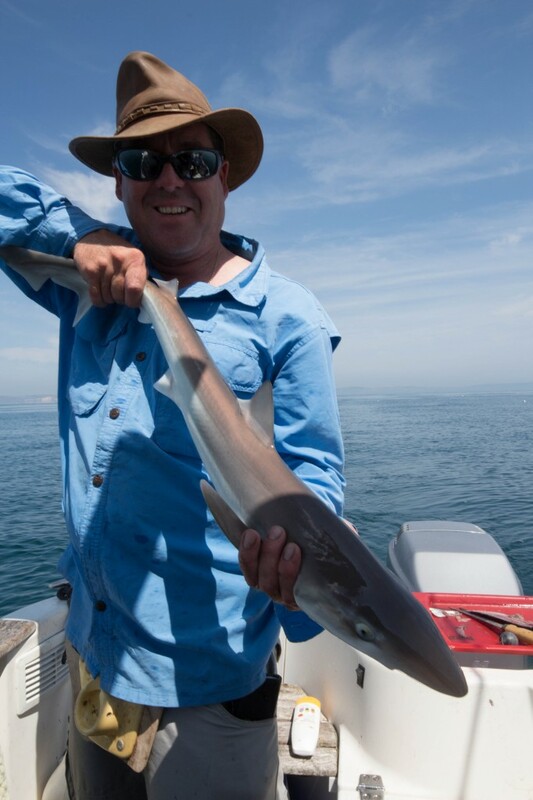 Much to my joy, e managed a few Joey Mackerel amongst them. They went straight in to the live bait well. It was now time to head to my preferred mark. I had given the guys this mark before and they had fished it little success other than packs of Dogfish, so they were a little reluctant to try it again. 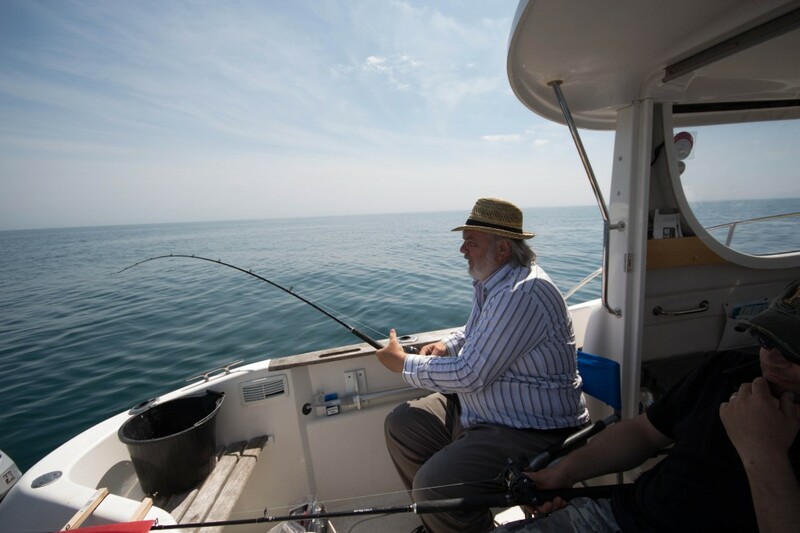 I assured them that with large baits, and especially with live Joey Mackerel, we would catch some decent fish. Both were unconvinced, as I dropped my live bait down, they opted for smaller baits. Mike was determined to try with some frozen Sandeel. I engaged my ratchet and set the drag so that if a decent fish took it I would know pretty quickly. It wasn’t long before Andy and Mike started picking up Dogfish. I could tell that they thought it was going to be another doggy fest and I they would prove me wrong. As I was feathering up some more bait I managed to hook a nice big Launce. Just as I was taking it off I noticed my rod suddenly bend over and line start to click off the reel. I knew that what ever was taking it would be nice fish. I gave it a little more time before lifting into a solid weight. I managed to get it off the bottom and it decided to go off on a bit of a run. This wasn’t the long fast runs that Tope make, just a nice steady pull against the drag. I was quite happy to let it run whilst the guys cleared the other rods in. 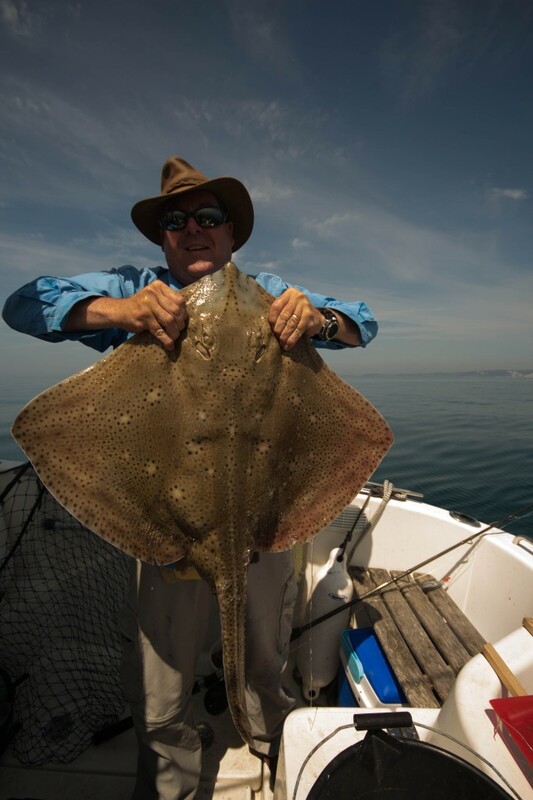 After about 10 minutes of some good hard kicks and runs Mike netted our first decent fish of the day, a lovely Blonde Ray that weighed 23 1/2lb. Next I sent the live Sandeel that I had just caught down. I could see that Andy was starting to waiver, but Mike was sticking with the frozen Sandeel. Within minutes I had another nice bite. This time the Sandeel had been ripped off the hook. More Dogfish for Andy, and even Mike was starting to think that only Dogfish liked his Sandeel. Thankfully that was not to be the case as after a couple of missed bites, he finally hooked a better fish. 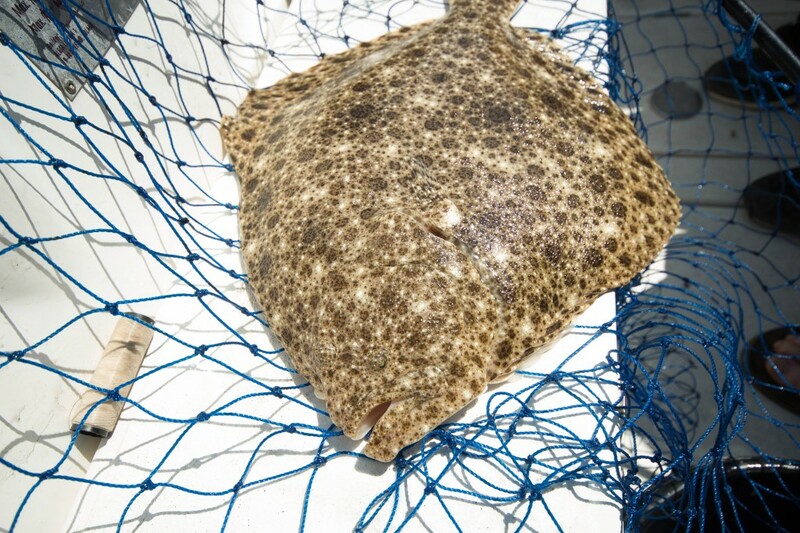 A nice Turbot. It seems that every time Mike goes out he manages to catch a Turbot. He was happy that he had stuck to his choice, but not for too long, as my rod now armed with anther live Joey, leapt to life. This was something faster than the Ray, and I was hopping for a Tope. 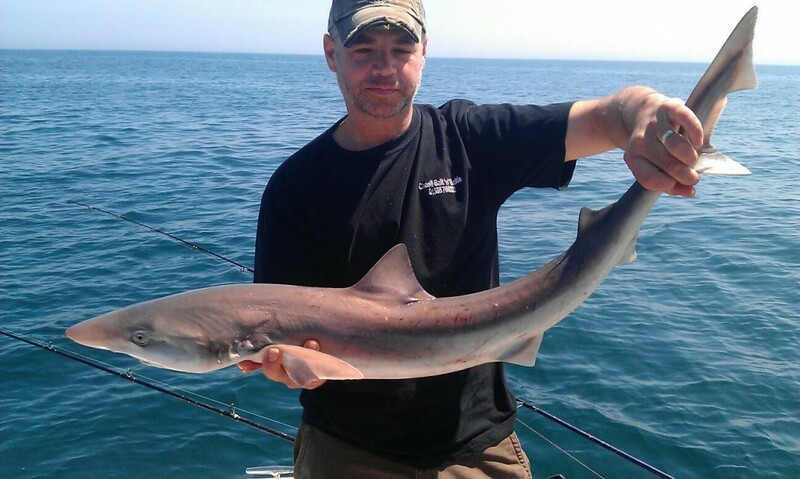 I wasn’t disappointed as I soon had a small Tope alongside the boat. That was it, both Andy and Mike had seen enough and finally put down some larger baits. It didn’t take too long for Andy to get a nice bite. He put his light rod to test by landing a Thornback of around 8lb. It had lost part of its tail at some stage, but it still fought well. That was pretty much it for the day, but I had a great time. The guys were now much more confidence in using larger baits as they proved the next day when they went out again. 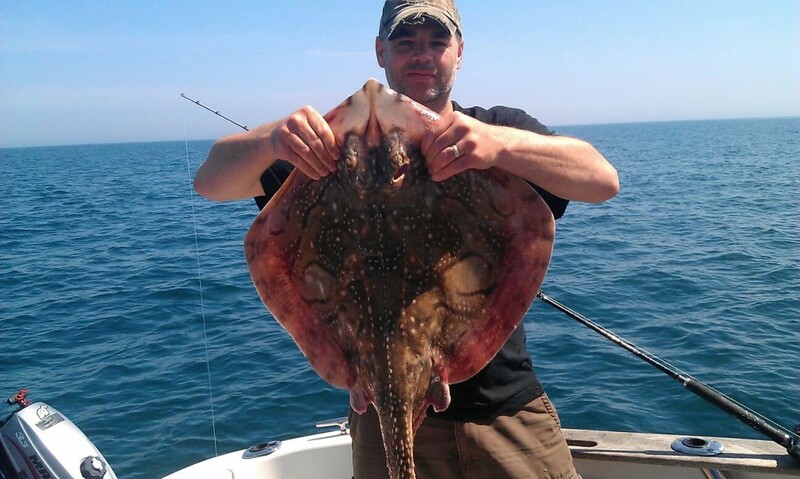 This time they managed a couple of bigger Tope and a fantastic 15lb Undulate ray. 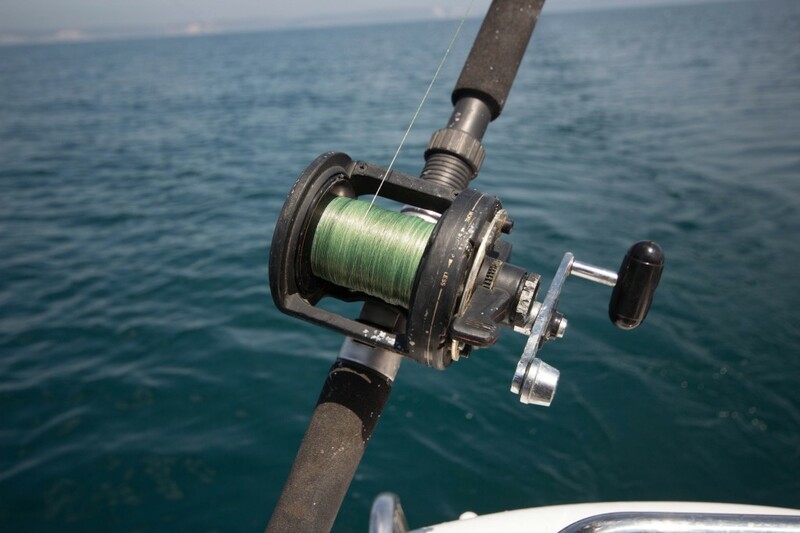 One Response to "Boat fishing report from Portland and Weymouth"